You will meet our tour guide and driver at Tianjin Port, a comfortable car will take to Beijing City( about 3 hours) and visit two famous attractions—Tiananmen Square which is the world’s largest city center square and has witnessed many big events of China and Forbidden City, the imperial palace for twenty-four emperors during the Ming and Qing dynasties. Wandering in Forbidden City, you can’t help wondering the life of the imperial family. After the tour, you will be transferred back to hotel. In the morning, our tour guide&driver will pick you up from the hotel and then drive to Mutianyu Great Wall. It is one of the most famous and best-preserved parts of the Great Wall and enjoys a long history and is also part of the glorious culture of China. After lunch, we will continue our journey—go to appreciate the venue for the Ming and Qing emperors to offer sacrifices to the Heaven and pray for harvest—Temple of Heaven. After ending our tour, we’ll take you back to hotel. Today we first visit the Summer Palace. 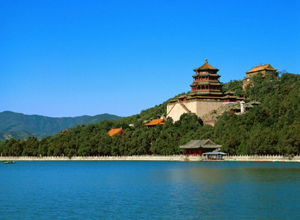 It is the best preserved imperial garden in the world, is a must-see in Beijing. After leaving Summer Palace, we’ll visit Hutong Tour with Rickshaw. Hutong Culture is a symbol of Beijing, most visitors who come to Beijing would like to enjoy the Hutong Culture. After that, we will transfer you back to Tianjin Port.